Figure 21. Universal sampling apparatus invented by Otto Pettersson in 1904. 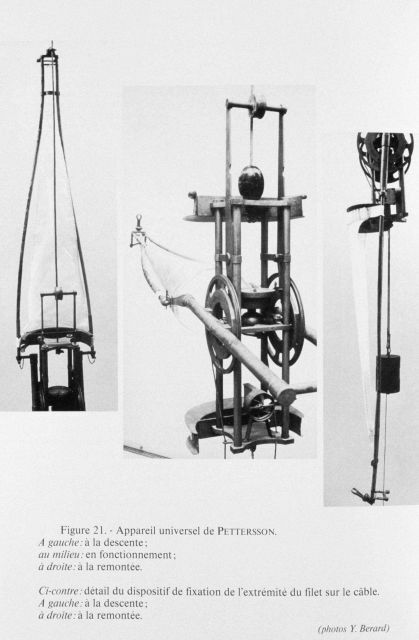 This instrument measured temperature, the velocity and direction of the current, and also collected plankton. Pettersson first tested this instrument in 1904 in the Skagerrak and Baltic Sea. Left: in descent. Center: deployed. Right: on the ascent.